State of Anarchy: Master of Mayhem (Sometimes You, €7.99 / £7.19) - State of Anarchy: Master of Mayhem is a hilarious shooter that will put a smile on your face. You were an ordinary citizen in a small town… Now it’s on fire! Rioters are storming the houses, aliens rampage in the sky! Run as fast as you can! Anarchy has never been so much fun! My Riding Stables – Life with Horses (TREVA, €29.99 / £26.99) - Make your dreams come true on the stud farm near the old mill: renovate your own riding school, look after your horses and tend the cute little foals. As well as wonderful rides, working in the stables and caring for the horses, you’ll have plenty of other exciting things to do! 1979 Revolution: Black Friday (Digerati, €9.59 / £8.63) - Based on true stories and historical events, 1979 Revolution: Black Friday is an interactive drama about choice and consequence, chaos and order. The year is 1978, the place is Tehran, Iran. You play a photojournalist who returns home to find his people protesting the ruling King, the Shah. Armed with your camera, you're soon pulled into a dangerous world of revolution and civil unrest. ACA NEOGEO PREHISTORIC ISLE 2 (HAMSTER, €6.99 / £6.29) - "PREHISTORIC ISLE 2" is a shooting game released by SNK in 1999. Various types of dinosaurs which are large, small, or even have the wings emerged! Your mission is to eliminate these primeval beasts from the city. Rescue and help all trapped citizens’ escape! 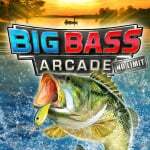 Enjoy a variety of stages and colourful settings! Ayakashi Koi Gikyoku -Forbidden Romance with Mysterious Spirit- (DIGIMERCE, €24.99 / £22.49) - Bittersweet forbidden love story between a human and a mythical spirit. In Japan, foxes are known to be mythical spirits that trick humans by turning into human beings. Battle Supremacy (Atypical Games, €8.49 / £7.69) - Unleash the full power of your device in Battle Supremacy, a WWII tank game with thrilling gameplay and showoff-worthy visuals. 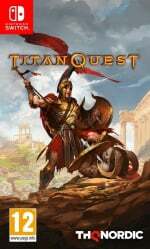 Explore a fully-interactive open world, and do it by land, air or sea. Catch 'Em! Goldfish Scooping (D3 Publisher, €6.99 / £6.29) - In addition to scooping goldfish for points, you can use items to your advantage and to mess with your opponents! Make this fun goldfish scooping party game your new tradition! Have fun playing alone with missions and score challenges. 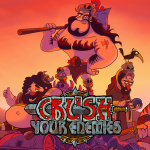 Crush Your Enemies! 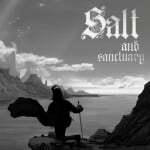 (Vile Monarch, €7.99 / £7.19) - We have all had enough of those cliché fantasy worlds with brave knights, ladylike elves and little people obsessed with jewellery. Generia is just another of those worlds... Thankfully there are evil barbarians coming to plunder, impale, drink beer, use inappropriate language and generally to make things interesting. And guess what? It's you who will lead them! Eekeemoo - Splinters of the Dark Shard (Cooply, €4.99 / £4.99) - In this awesome third-person adventure game you will help Eekeemoo rescue his friends from the clutches of the evil Dark Shard! Your quest will take you deep into the Dark Shards four corrupted splinter worlds. You'll help Eekeemoo solve puzzles, complete tasks and battle monsters, legions of the undead and hugely terrifying boss monsters! GREEN (STUDIO GREEN, €2.99 / £2.69) - Create a block yourself and use it to clear the stage in this side-scrolling 2D puzzle action game. Clear all 50 stages and save the lover 's pink. 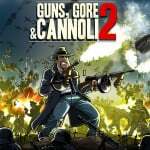 Guns, Gore and Cannoli 2 (Crazy Monkey Studios, €12.99 / £11.69) - Welcome to the 1940’s. Europe is being torn apart by the war, the USA is preparing for battle and the mob does business as usual. Only this time they went too far, even for Vinnie’s standards. Prepare yourself to go to war after you make a shocking discovery about what actually happened during the end-stage of the Thugtown Massacre from Guns, Gore & Cannoli 1. Kenshō (JetDogs, €14.99 / £14.99) - Begin your journey through a surreal world where nature, time and space intertwine. Match blocks and overcome challenges in this addictive puzzle with rich visual effects that unfolds a narrative through breathtaking places including lush jungles and stormy seas. 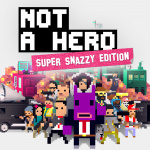 NOT A HERO: SUPER SNAZZY EDITION (Devolver Digital, €12.99 / £11.69) - Professional assassin turned amateur campaign manager Steve is charged with cleaning up the city by an anthropomorphic rabbit and mayoral candidate from the future named BunnyLord. Eliminate the criminal underworld of the city’s three major districts and persuade undecided voters to your cause. 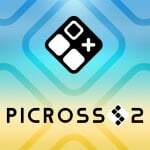 PICROSS S2 (JUPITER, €8.99 / £8.09) - A new mode has been added to Picross S Series! Collect the puzzle pieces, solve them, and put them together to complete a story! Pixel Action Heroes (Cypronia, €4.99 / £4.49) - Play as an iconic physics-based action hero from the movies in fully destructible block building world. Become an FPS level designer! Create your own maps, customize skins and share with friends, let them try it out, and get their feedback. The Inner World (Headup Games, €11.99 / £9.99) - Embark on a crazy adventure to the wonderful and mysterious world of “Asposia”. 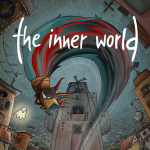 The Inner World - The Last Wind Monk (Headup Games, €14.99 / £11.99) - Solve mind-bending puzzles in a world full of mystery and save the family of the flute-noses! Flat Heroes Demo (Deck13, Free) - You are a square, trying to survive dozens and dozens of increasingly intense challenges. You are simply a square with a mission; become a true hero — a Flat Hero. Run, jump, dash, attack — stylishly navigate and survive over 300 handcrafted levels, and destroy the most epic bosses. Yoku's Island Express Demo (Team 17, Free) - Flip and bump Yoku, the pint-sized protagonist, around the stunning hand-painted island on your quest to rebuild the post-office, and wake an old god from its deep slumber. Breakout Defense (nuGame, €7.00 / £6.00) - Breakout Defense is a breakout game where you will face off against the computer opponent through 20 exciting levels. Do your best to defend your own blocks while at the same time aiming to destroy the blocks of the computer opponent. Forest Escape (RandomSpin, €1.09 / £0.99) - Run, run away. You have to escape from this dangerous, terrible forest. Danger breathes in your back and it's gaining speed, it will soon catch you up, run faster. Just don't hit the tree! State of Mind (Daedalic GmbH, €39.99 / £35.99, pre-order from 31/07/2018) - Pre-Order until 15/08/2018, 14:59 local time Game description: Experience an alarmingly realistic vision of the near future in a Sci-Fi thriller, where dystopian reality and digital utopia are intertwined. Unravel a global conspiracy in a society of ubiquitous digitalism, surveillance and transhumanism. The Amazing Shinsengumi: Heroes in Love (D3 Publisher, €11.99 / £10.79, pre-order from 02/08/2018) - Pre-Order until 09/08/2018, 01:59 CEST Game description: A romance game for women where you fall in love with members of the famed Shinsengumi. Which of the Shinsengumi members will you fall for? Featuring character designs by popular artist for women's media, Nagaoka. Treadnauts (Topstitch Games, €9.99 / £8.99, pre-order from 03/08/2018) - Pre-Order until 17/08/2018, 07:59 local time Game description: Treadnauts gives competitive platform fighters a kiss of physics finesse. Gracefully pilot your tank through gorgeous arenas to land a deadly shot on your opponents! You've got a slew of useful tricks at your disposal, including treads that stick to any wall, boosters for midair hops, zero-friction slides, and rocket jumps for soaring into the sky. It's all about moving with style! I'm getting the South Park DLC but there's no vote option for it. 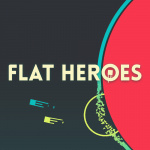 Iconoclasts and Flat Heroes are on my radar! But I'll wait for a review on the former. Iconoclasts came out of nowhere lol. I literally just added it on my Steam wishlist two weeks ago, but it coming out on Switch is gonna make me buy it on Switch compared to my PC. Looking forward to your Iconoclasts review! Bought Code of Princess physically. May get Iconoclasts, but probably not, since my backlog is already unmanageable and Flipping Death and State of Mind will be entering it soon. I'm waiting for a Norwegian crown drop in order to download a couple Arcade Archives / ACA Neo Geo games. My riding stable for sure. What devilry Ian this?!? How have we gone from 24 hours late last week to first off the starting block this week?!? I can do without a list of Fallout Shelter microtransactions thanks. Edit: Maybe Iconoclasts at some point... I've just realised which game that is. @CCore28 I bet you don't even know one game but you just call all of them shovelware just ... because. 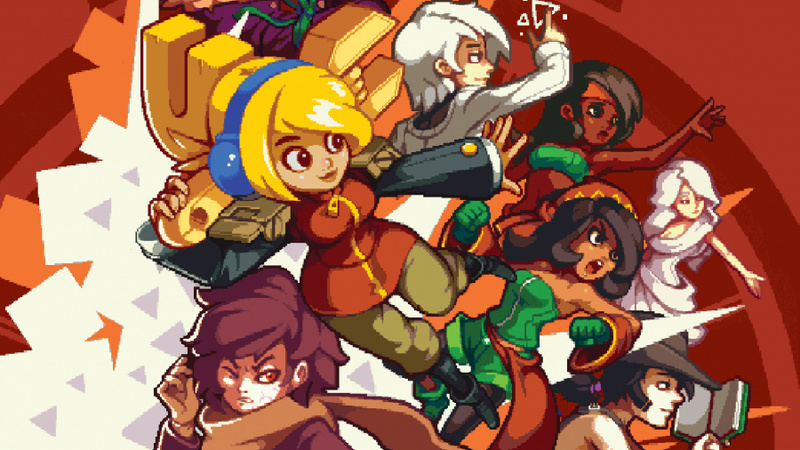 Iconoclasts for now. Maybe Guns, Gore & Cannoli 2 later on. People calling games they don't know shovelware is pretty damn annoying. @Cosats Please don't spam the same reply to different users. You can put all users in one reply. Thanks. Sorry to everyone else for repeating my message but it gets so annoying reading people calling games shovelware out of the blue without really knowing any of the released games. I'll wait for a review on Not a Hero. 1979 The Revolution looks good but I'm not in a rush to buy it. Bought North and Rogue Trooper Redux in the sale last night. @gaga64 We aim to please! 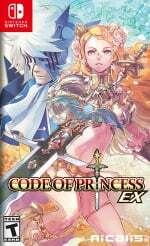 £35.99 for Code of Princess EX is quite steep - I don't begrudge developers making money, but considering the game is £10.99 on Steam and the original on the 3DS is around the same price I would have thought somewhere in the region of £16-18 would be more appropriate. 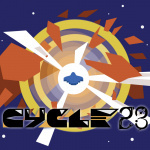 @Cosats sure not shovelware, just budget indie games from studios i’ve never even heard of. I’m sorry for not checking each one of these out to see whether or not they’re worth a damn! I’ll probably be getting Picross S2, although I still haven’t finished all the Mega Picross in the first one! Well, at least there's a new mode. PREHISTORIC ISLE 2 for sure. Too long overdue. Took me 20 seconds to find this information. Yet on here “oh I can’t be bothered doing research, all these games must be rubbish”. How much spoon feeding do people need these days??!! "Shovelware" is officially up there with "plot hole", "mary sue", "blast processing" and other impossibly witty words fans like to parrot whether they know the meaning or not. But hey, one's holy freedom of speech will gather dust if nothing is posted at all. Clearly I mean spoonfeed those who can’t take a few minutes to Google Search. If it hasn’t got any reviews there’s not much anyone can do, but finding three games worth buying was literally 20 seconds effort. Yet for some it’s (whiny voice) too much wooooooork. I find the complaints about too many games utterly laughable. At the price I'll give Rogue Trooper a go. And Prehistoric Isle 2. 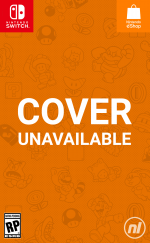 I'm aiming to pick up Captain Toad Treasure Tracker this week. A bit behind the times, but I can't afford to pick up every title I want the week it comes out. Had it on Wii U and loved it, can't wait to play through it again. Think I got the 3DS version for under £10 at one point. Overcooked 2, a British game, is released today not in Britain, but in America. Flipping Death is also out on the 7th (Tuesday) according to the Switch eShop. 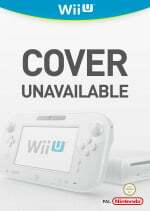 Physical seems to be out in September. I have a pre-order, but may just get the digital version. Or I may wait. I really ought to play the games I already have first. Awesome week thanks to Prehistoric Isle 2, i've been waiting for that one for some time and it surpassed my expectations. I ordered a physical US version of Code of Princess from Play Asia, it's a shame Nicalis doesn't give the game a physical release in Europe while still pricing the EU/UK eShop version as if they wanted to match a retail price. I wonder which dev will become the Switch version of Ninja Pig or Rcmadiax. So much for the quality control, huh?